CHALLENGE PATH is a nationally recognized organization with multiple programs and initiatives to address homelessness. In the last five years PATH has helped nearly 8,500 of our homeless neighbors in Los Angeles and surrounding areas move into permanent homes. As part of addressing the housing crisis in Los Angeles and to leverage state and local funding, PATH launched an initiative called LeaseUp to work more closely with property owners to designate at least one vacant unit to housing persons transitioning out of homelessness. The challenge was to create a brand that: 1) maintained the integrity of the PATH parent brand, 2) met the more savvy, business-minded expectations of property owners; and 3) that competed with leading real estate industry search tools like Zillow and RedFin, for example. ENGAGEMENT OVERVIEW Our team was invited to develop a brand identity package (logo, collateral, signage and digital ads) and full marketing strategy to launch LeaseUp. During the project period, the Momentum team interviewed key staff, stakeholders and property owners throughout Los Angeles County to understand the barriers, perceptions, and beliefs about homelessness. That data informed a creative brand brief, marketing assets and messaging platform that are now the foundation for LeaseUp. The initiative and online portal were launched in November 2018. DELIVERABLES Through a rigorous research and design process, Momentum established a new brand identity and assets for LeaseUp. Tangible deliverables included all design files, style guide, messaging platform, marketing collateral and an integrated marketing strategy for the first year. The organization will launch the new brand in phases and has begun to successfully establish the visual presence both in the Los Angeles community and online. CHALLENGE For 30 years, Grand Performances (GP) has worked to inspire community, celebrate diversity, and unite Los Angeles through free access to global performing arts. With a small communications team, they needed more hands on deck to improve their social media presence, develop and implement an integrated marketing plan, and bolster their nonprofit profile with supporters for the 2017 summer season. ENGAGEMENT OVERVIEW Momentum worked closely with the team to develop an integrated marketing calendar for the summer season with a suggested weekly posting schedule focused on engaging Facebook and Twitter audiences and growing their current base of supporters. Through weekly phone calls with the GP team, we refined goals and marketing tactics as needed, including influencer outreach efforts and connecting with key artists. We also attended all priority shows during the season to assist with live tweeting and posting. Finally, we aided in the development of sponsor appreciation tactics and a weekly thank you strategy. DELIVERABLES Momentum Solutions increased Grand Performances’ visibility across all social media channels. By the end of the summer season, their Instagram followers had increased by 5%, Twitter by 15% and Facebook followers increased from 29,000 to over 31,000. By increasing the number of paid Facebook posts we were able to better engage supporters and increase attendance at shows. GP’s Klout score increased by 11 points to 63 — the average nonprofit in Los Angeles is a 45. Finally, our team offered a set of recommendations for building on the momentum of a successful summer season. CHALLENGE Los Angeles Unified School District (LAUSD) is the 2nd largest public school district in the United States. 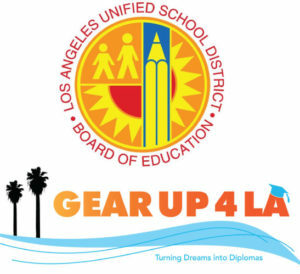 Their GEAR UP 4 LA program serves thousands of students in LAUSD through the national GEAR UP grant. In its fifteen years, GEAR UP 4 LA has provided services for over 13,000 students at over twenty campuses. Compared to other large nonprofit organizations that receive the same GEAR UP grant funds, this program is unique in that they spend the majority of their funds on programming. ENGAGEMENT OVERVIEW Our team was asked to help craft their story of impact. Their approach and how they work with their staff and students has created noticeable increases in graduation and college acceptance rates. Our job was to write these stories and work with local media outlets to ensure that others knew the impact they were making. In addition, we updated their marketing collateral and refreshed their brand, allowing them to strengthen their brand awareness in LA, in hopes of expanding their model. DELIVERABLES During a short-term engagement period, our team developed multiple stories, both op-ed, by-line and press releases for their programs, based on their specific goals. Multiple media outlets covered their activities and published their stories. New marketing “one-pagers” were developed for key programs along with style guides and a messaging platform to allow their staff to market their services more effectively. CHALLENGE The Annenberg Foundation was looking for ways to refresh and strengthen their core capacity building initiative, the Alchemy Leadership Program. Foundation staff also wanted to diversify their training consultant pool to better suit their nonprofit partners throughout Greater Los Angeles. In addition, the Annenberg Foundation was looking for ways to authentically create more structure and synergy between the variety of Alchemy capacity building programs that are under the Foundation, and communicate a streamlined Alchemy brand across their social networks. ENGAGEMENT OVERVIEW Momentum was asked to provide Annenberg with strategies to move forward as well as identify local trainers, facilitators and coaches. A roster of vetted consultants with nonprofit management expertise was created to thoroughly access local talent. 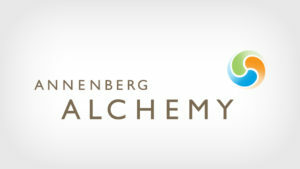 In addition, Momentum supported the redesign of the Alchemy program and supplied Annenberg with ready-to-access communication support and strategy. Momentum team was asked to create communication structure, strengthen the Alchemy brand identify and develop structured outreach to their core audience: nonprofits in Greater LA. DELIVERABLES Through an integrated marketing campaign, during our contract period, we doubled the nonprofit applicants to the Annenberg Alchemy capacity building program. A streamlined curriculum and program design was developed for Los Angeles, Orange County and the Inland Empire creating diversity within their training consultant pool. Efficient communication content was made generating files with ready-to-go content for their social media platforms and emails. In addition, executive coaching support to their program staff continues to strengthen the program. CHALLENGE LA’s BEST is one of the largest after-school enrichment programs that serve students throughout Greater Los Angeles. Serving over 25,000 students in LAUSD and other local school districts, they play a vital role for students, families, and schools in our city. Like any large nonprofit organization, they have departments strictly dedicated to communications and fundraising. Because a director with a key role in communications was going on leave for a couple months, a gap was left in their marketing and communication services. ENGAGEMENT OVERVIEW Our team was invited in for a short-term engagement to fill the temporary gap. This was a very specific level of engagement for our team and the organization. Using our strength-based approach to communications, three partners worked together to carry out their social media, content development and eBlast external communications. Our team created a detailed calendar, strategic goals and clear structure for the three-month partnership. DELIVERABLES During the engagement period, our team provided full support to act as their internal communications staff, both at a leadership level and staffing level. During the three month period, we saw a significant increase in their social media engagement, likes and content engagement. Weekly eBlasts increased their open rate percentage with hundreds of additional subscribers, in addition to new donors and supporters for key events and campaigns during the contract period. CHALLENGE The Arcadia Performing Arts Foundation (APAF) is charged with leading fundraising efforts and season programming for the Arcadia Performing Arts Center (APAC) — a modern concert hall in the San Gabriel Valley. For years the Foundation used paid marketing as its means to promote the venue’s season performances. With the hire of new Executive Director, Maki Hsieh, the Foundation hired Momentum Solutions to spearhead the Center’s first public relations campaign. ENGAGEMENT OVERVIEW Momentum Solutions’ first goal was to close out the 2016-2017 season with a public relations push for its season finale featuring American jazz singer, Steve Tyrell. Momentum’s PR team leveraged the opportunity to announce its new partnership with APAC to its San Gabriel Valley and Los Angeles based arts and entertainment media contacts, in anticipation of the larger goal of announcing and promoting APAC’s upcoming 2017-18 season. DELIVERABLES Momentum Solutions secured consistent regional media features and calendar listings on APAC’s 2016-17 season finale, and 2017-18 season Gala and performances. In addition, Momentum curated online calendar listings for the Center. Features and calendar listings were included in regional print and online publications, such as the Arcadia Weekly, Pasadena Weekly, Pasadena Independent, and San Gabriel Valley Tribune (in both print and online), CultureSpotLA, Chinese LA Daily News and Zhong Guo Daily News, the Los Angeles Times, Pasadena Now and more. ENGAGEMENT OVERVIEW With Jovenes Inc.’s leadership, their team were able to bring in many vendors, sponsors, volunteers and music performances for the festival. Because of the size of their nonprofit, they do not have a staff member dedicated to communications. Our Momentum team was asked to help manage their social media sites, develop marketing strategy and launch media engagement activities. Aside from social media, we assisted in preparing a marketing kit to ensure the entire team successfully carried out the plan. DELIVERABLES Momentum launched and lead the marketing efforts for the entire festival. We established an integrated social media calendar, tieing in key events from their celebrity host, fundraising activities, new vendors and activities. The plan launched three months before the event and built up the online momentum of the event, resulting in hundreds of thousands of online hits, likes, shares and engagement across their Facebook, Twitter and Instagram platforms. In order to capture a larger crowd, calendar listings were posted on dozens of news and events sites including, ABC7, CBS, Discover LA, KTLA, La Clave and many more. The attendance for this year was the highest to date, with over 5,000 individuals in attendance during the course of the day. CHALLENGE Taix French Country restaurant, has served Los Angeles since 1962. As the family-owned business approached the restaurant’s 90th anniversary, the owner Mike Taix, wanted to engage in a public relations campaign to promote its traditional anniversary special “cent” dinner. Taix retained Momentum Solutions to increase media activity and engage local outlets leading up to two events: A VIP private event, as well as the 90-Cent lunch event open to the public. ENGAGEMENT OVERVIEW Momentum was asked to create a public relations campaign for their anniversary and build relationships with Los Angeles’ restaurant, “foodie,” hospitality and travel media. We helped plan a VIP party a week prior to the anniversary that included invitations to long-term patrons such as LA Councilmember Mitch Englander who gave a proclamation to the owner, Mike Taix. Those at this private event had the opportunity to meet and interview Taix while food and wine sampling was provided. Momentum worked closely with Taix to help coordinate the anniversary promotion across all social media platforms. DELIVERABLES Our team executed a successful public relations campaign. The VIP party brought in a solid crowd of celebrities, local leaders and longtime friends of the business. The public event hosted over 1,000 people for their 90-cent meal. We were able to provide Taix with media coverage in LA Weekly and Pasadena magazine, along with 27 other local and regional publications. 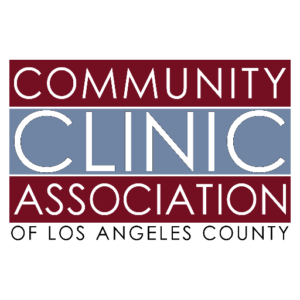 CHALLENGE CCALAC and their member-driven network of over 60 health centers across Los Angeles share a common mission of supporting and expanding access to quality comprehensive healthcare for every individual. 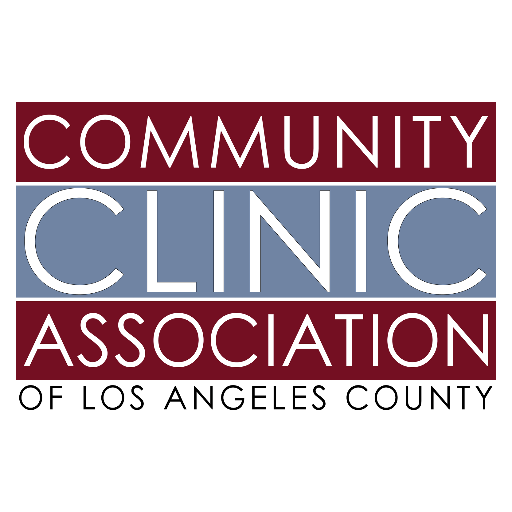 With many of their members facing daunting challenges in the form of legislative threats, including a possible ACA repeal, Health Center Funding reauthorization, and immigration policy changes, the CCALAC was looking to improve their marketing efforts and build their advocacy focused communications. ENGAGEMENT OVERVIEW Our team was invited to be their lead communications agency supporting their traditional media, boosting social media amplification, and driving media to a number of local events. Our services extended their national reach and provided technical support that addressed the reality and issues that CCALAC was facing. Our team was able to strengthen CCALAC’s thought leadership, positioning and advocacy work, and their active network, responding to rapidly changing conditions. DELIVERABLES Our team secured numerous earned media opportunities in the form of print/online, broadcast, and radio interviews as well as notable media mentions quoting the CEO, VP of Government Relations, community clinic executives, healthcare allies, local patients and providers. We produced a comprehensive communications plan, along with a detailed rapid response roadmap to inform best practices in the face of uncertain communications challenges. We also created detailed marketing and editorial calendars, a pitch matrix and other ongoing work plans to drive messaging around specific monthly themes. CHALLENGE Like many nonprofit organizations, JVSLA had a one-person communications department, covering the areas of social media, public relations, branding, design, event planning and marketing. JVSLA brought on the Momentum team to serve as its communications department. ENGAGEMENT OVERVIEW Momentum was asked to create a strategic marketing and public relations plan that would promote all of JVSLA’s programs, events and organizational milestones. We would work directly with their communications and development staff to ensure plans and action steps aligned with the organization’s goals. DELIVERABLES We executed a PR/Marketing strategy, including press release writing and distribution, media pitching and placement in (on average) one media outlet a month. Additionally, we provided daily social media strategy and management, crowdfunding strategy and implementation, event promotions, and executive level support. CHALLENGE DIY Girls empowers middle school girls to pursue careers in technology and STEM. A dynamic nonprofit, they are celebrating five years of impact, but in the last year have gone through significant leadership and staff changes. With the majority of the staff being new to their roles, including the Executive Director, they needed strategic communications support that linked their marketing to their fundraising efforts. ENGAGEMENT OVERVIEW Our team worked closely with DIY’s leadership to develop goals, content, and strategy behind their year-end fundraising campaign. The bulk of their efforts are online, through social media and newsletter campaigns. DELIVERABLES To celebrate DIY’s five year anniversary, which aligned with their end of year fundraising campaign, new content, including visuals, copy and multi-media marketing was created. The marketing strategies were successful in reaching their annual fundraising goal through earned media attention and online donor cultivation. We also coached the new Executive Director and communications staff in their roles, and developed an integrated marketing calendar to be used for the upcoming year. CHALLENGE With the 25th Anniversary of the 1992 Los Angeles Uprising, the South Los Angeles Building Healthy Communities Collaborative (SLA BHC), a part of The California Endowment’s, launched a 10-year strategic initiative to support the development of safe and healthy communities. The campaign needed a public relations strategy, tactical media outreach and support raising awareness about the issues the South LA region faces. As part of the anniversary, the collaborative mobilized to form a rally, march and all-day community event, formed and supported by the community members and allied organizations. They gathered in support of ending structural oppression that led to the 1992 Uprising and commitment to a collective transformation. ENGAGEMENT OVERVIEW Momentum partnered with the Collaborative and the marketing agency, Team Friday, to create a public relations plan that supported the branding and marketing work, drafted original copy, developed and oversaw all press materials, media releases and public relations. We created and pitched calendar listings for their event, which were posted on local and national media outlets. Our team was tasked to secure advance event media coverage, feature articles, and op-ed pieces, as well as to secure media to attend and cover the 25th Anniversary rally and march on April 29, 2017, in South Los Angeles. The media coverage illustrated the past, present, and future of South Los Angeles, acknowledging the 25th Anniversary of the LA Uprising, and the commitment and steps that are still required to create change in that region. DELIVERABLES Our team secured millions of impressions in broadcast, print, radio interviews, online articles and media mentions before, during and after the 25th Anniversary of the 1992 Los Angeles Uprising. Over 30 on-site English and Spanish language outlets – international, national, regional, and hyper-local broadcast crews, photographers and journalists attended the event to cover the rally and march. We facilitated on-the-spot media interviews with key spokespeople, community leaders, activists and local community members. Top tier media outlets who attended and covered the event included: ABC 7 News Bay Area, Business Insider, CNN, Daily Breeze, El Pais, El Nuevo Dia, Getty Images, Hoy Los Angeles, KCAL,KABC-TV, KTTV, KCBS, KTLA, La Opinion, Los Angeles Daily, LA Weekly, LA Daily News, Los Angeles Sentinel, LA Times, MSN.com, Mercury News, MTV News, NBC Nightly News, News 4Us Online The Daily Times, Univision, WBTV and Yahoo News. CHALLENGE My HR Specialist is a boutique human resources agency focusing on businesses that need specialized or individual support with their human resources needs. The business has a growing base of clients, but needed more engaging web presence and to establish a brand identity. ENGAGEMENT OVERVIEW Our team was engaged to first develop a new brand identity, including a logo and style guide so that all of their external communication collateral could be aligned. As a business still in its launch phase, aligning the target audiences with the new brand identity was critical to successful deliverables. DELIVERABLES Our team developed a new company website along with a complete brand identity and style guide. We worked with the CEO to establish branding guidelines and trained her on marketing strategy so that she could sustain the website presence and the social media presence that we established. Her website had a successful launch and because she knows how to edit the backend of her website, the website has become a integral part of her marketing strategy to develop her online brand and generate new business. CHALLENGE Lara Kain is the Los Angeles Education Partnership (LAEP) senior director of Transform Schools. She leads trauma-training workshops for school staff. Leadership at LAEP came to Momentum Solutions Team for support on thought leadership positioning for their program. Additionally, the CEO called upon our team to create a marketing strategy plans for their three social enterprise models, and to deliver a training to their team on social media marketing. DELIVERABLES Momentum authored ghostwritten blogs published in the Huffington Post and leveraged their dissemination through social media and the organization’s newsletter. We implemented media strategy and executive support for LAEP leadership. And finally, we provided full training on LinkedIn and professional branding and development with social media marketing strategy development. CHALLENGE A collaborative group of business leaders developed the inaugural awards luncheon, Make Change Awards. The effort was led by Happy City, Conscious Capitalism, Net Impact and the Social Enterprise Alliance. 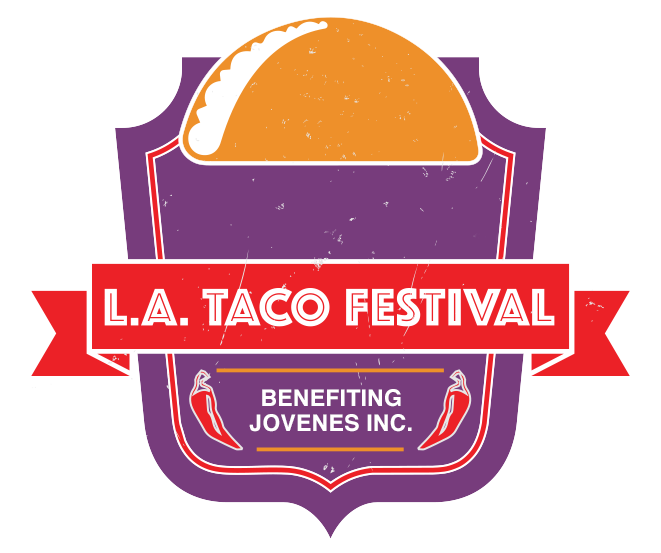 It is an ambitious and exciting event highlighting innovative, captivating and impactful ventures in Los Angeles. ENGAGEMENT OVERVIEW The Momentum team worked with the event committee to lead in the marketing strategy and implementation of the event. The goal was to bring in 100+ attendees to the event and to build the buzz for future expansion. The awards luncheon targeted diverse audiences, ranging from business executives and philanthropists to nonprofit leaders and elected officials. DELIVERABLES In anticipation of the awards ceremony, we put out a press release, did media pitching and event posting. We also developed an online marketing strategy, including suggested hashtags, posts, handles, tweets, content and image creation. Momentum delivered content curation and creation of Twitter and Facebook accounts, live tweeting and posting from the event, and facilitation of online conversations. CHALLENGE Las Fotos Project (LFP), empowers the next generation of females to pursue entrepreneurial and creative careers in photography. As a small nonprofit they face various challenges, but have excellent marketing as a result of an energized base and an engaged group of mentors. LFP struggled to link their strategic communications and fundraising efforts. Additionally, the organization is in the process of developing a social venture that will help to sustain the organization and provide employment for their participants. ENGAGEMENT OVERVIEW The Las Fotos Project leadership came to Momentum to assist them the technical and creative development of their social enterprise, Hire Her. 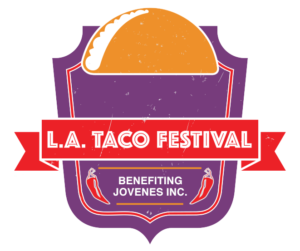 When launched successfully, this social venture would be a step forward for their organization, developing a sustainable source of funding, and establishing them as creative nonprofit leaders in LA. DELIVERABLES Momentum created a strategic communications plan for the social enterprise, including a launch plan and executive coaching for the Executive Director. We provided ongoing thought partnership during the launch period, and supported the engagement of 20 clients within a three month period. Deliverables also included business development policies, flow plans, content, new business outreach tactics and internal procedures. CHALLENGE The Center for Nonprofit Management of Southern California (CNM), has been as resource to over 50,000 nonprofit leaders in the last two decades. As a non-business entity they shared some of the same struggles that exist in the nonprofit sector. Specifically, CNM wanted to strengthen their external communications and staffing capacity in anticipation of their annual 501C3 Conference. ENGAGEMENT OVERVIEW CNM leadership came to the Momentum team asking for support in training their current communications staff, developing content marketing for the conference and creating a sustainable marketing strategy that they could roll out after the engagement. The details of this engagement were made more complex with their annual conference, ambitious goals and the onboarding of a new communication staff member into the organization.